The International Lens Magazine has published its latest issue with the theme “color.” I had submitted a collection of photographs from the Great Salt Lake, The Fields of Color, and they were accepted for publication. This issue also marks their three-year anniversary and looks back into the past issues. It has rich content and is a carefully curated magazine with international contributions. I am pleased that my work is included in a landmark issue and wish the publishers continued success. In the age of avalanche of photographs, they seem to bring works that are different from the millions of images that enter our consciousness. Looking at different photographs, in content and style, may be one of the best ways to improve one’s vision and photographic language. 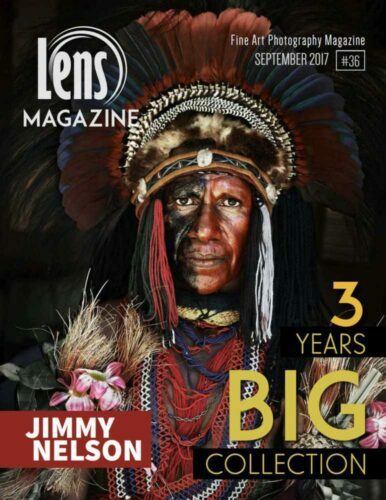 The International Lens Magazine is certainly worth your attention and a few dollars for a subscription or a single issue purchase. In this issue, you will find sample works from the previous issues and new work, from the photographs of nature to fashion, from landscapes to multiple exposure cityscapes. It will not disappoint, for this issue with over 300 pages and hundreds of gorgeous photographs, I can say it is $5 well spent for a digital copy. I will buy the print version as well when it is available in the next few days from MagCloud, a bit pricey but worth looking at the printed photographs. There are eight two-page spreads that present my work and brief writing. You can view them as images below or view or download the PDF file from the above link. What a wonderful collection of images in Lens magazine. Thanks, Steve. There is plenty more!